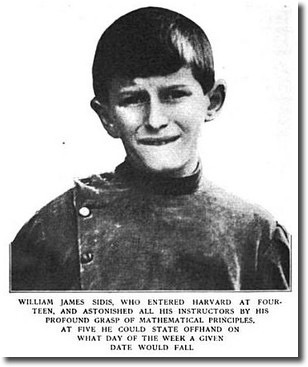 I used to find those words of 19th century child prodigy William J. Sidis eccentric. Silly even. “Da Vinci himself was a social wizard. Sidis was just weak,” I pronounced at 14. Later in life, as the voices of others (friends, family, fans, frenemies) began to drown out my own, I understood. Everyone has an opinion. One of the great catalysts of genius is the habit of valuing one’s own thoughts. Far easier to do this in seclusion. At one particularly low point I drove for hours and hours listening to As a Man Thinketh over and over again. It’s one thing to know, intellectually, the power of your own thoughts. It’s another to know it in your bones. My bones needed to know. And it worked. It snapped me out of my funk and gifted me the confidence to create with conviction once again. This is why As a Man Thinketh is our 2nd instalment of the Simpleology Passive Mastery™ Series. StagedMoves Hey Denise, thanks for the kind words. We don’t use subliminal technology as we’re not convinced of their efficacy … Looking forward to hearing how this affects you! Thank you for these bonuses! 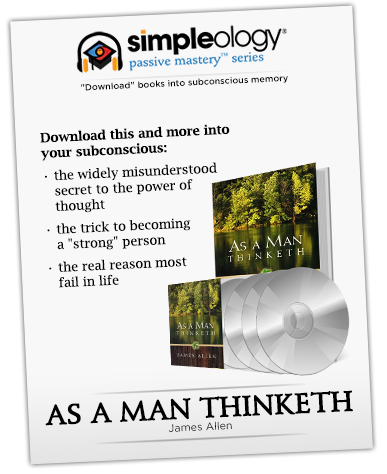 Wonderful to have an audio version of As Man Thinketh! Thank you for everything – your genius brain, your huge heart and all your bonuses – but the main bonus for us is your presence in our life, Mark! Thanks for the awesome bonuses, Mark! Thank You Mark! I appreciate the great gifts.